Tiger Woods walks with manager Mark Steinberg during a practice round prior to the start of the 141st Open Championship in 2012. Mark Steinberg, superagent, who earned his press-tent nickname by routinely telling reporters no, said he would call at 3 p.m., and here he was, right on time. "Bamberger!" No said to me. The exclamation mark might have required some effort, but sometimes in this world even Tiger Woods's agent has to fake it. People in the golf business will tell you that Tiger's "Steiny" is effective at his job, relentless and hardworking. He has become, by virtue of his relationship with Woods, one of the most powerful people in the game. Since leaving IMG and joining Excel Sports Management five years ago, he has signed Matt Kuchar and Justin Rose, two of the game's gents, and young Justin Thomas, who was being courted by the world. "My wife was a little apprehensive about it at first," Kuchar told me about his move to Excel. Sybi Kuchar knew all about Steinberg's take-no-prisoners reputation. "But he has completely won her over." Steinberg is politically skillful. He tried to get Kuchar a spot on the Ryder Cup Task Force but took no for an answer. He did not tell the PGA of America that if the organization wanted Woods, it would have to take Kuchar. Steinberg told me (in another context), "I don't like the term bundling. It sounds like leveraging." Hmmm. Can you be in Steinberg's position and not use leverage? He'll wage war when he feels Woods has been wronged, as long as he knows the cards are in his favor. Witness his threat of litigation against Brandel Chamblee— really, his successful effort to control the reach of the freewheeling Golf Channel analyst—after Chamblee (in a GOLF.com column) accused Woods of being "a little cavalier with the rules" on three occasions in 2013. 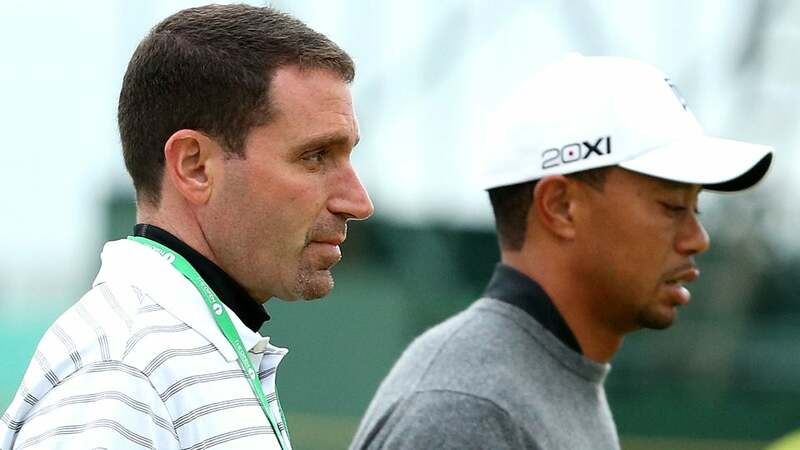 If you're Phil Knight or Michael Jordan or Fred Couples, if you're one of the few people in the world who can actually improve Woods's life, Steinberg can be charming, accessible and pliable. But it's a short list, and to others in golf he can be almost comically aloof. As a sports agent, Steinberg came of age in the era of the Packaged Celebrity Athlete and concluded, I believe, that reporters working the golf beat are pests at best. Before that teatime phone call, I can recall Steinberg addressing me only once by name. That was a decade ago, when I was having breakfast with Donald Trump at his club in Palm Beach, Mar-a-Lago. Steinberg approached the table and Trump said, "Mark, you know Michael Bamberger, the publisher of Sports Illustrated, one of the most powerful people in all of sports." Steinberg looked at the salt shaker, extended his hand and said, "Yeah, I know Mike." But now here he was on the phone, answering some of my questions with disciplined economy, politely passing on others. When I asked him what he learned from Mark McCormack, he quoted the IMG founder: ""Rather own than rent."" In other words, sign clients for life. I asked him what he thought of Billy Payne's welcome-back sermon when Woods played in the 2010 Masters, following the golfer's brief leave of absence after running over that hydrant. He passed. I asked Steinberg how his relationship with Woods has changed over the years, in good times and in bad. He said, "We are unwavering in our commitment to each other." A cynic would be tempted to tell you to follow the money on that one, but there's surely more to it than that. At Augusta in 2013, you could see Steinberg literally biting his fingernails as he watched Tiger over make-or-break putts en route to a fourth-place finish. At the next year's Masters, you could observe the agent skillfully making off-campus workout-room conversation with Rory McIlroy, with a pink-haired Caroline Wozniacki on a nearby treadmill, on a morning when McIlroy was clearly in no mood to chat. Last year, Sunday night at the PGA Championship, you could watch Steinberg wheel out Justin Rose's empty travel bag from the Whistling Straits locker room and reach only one conclusion: He's still hungry. He and Woods share that quality, among others. Both men get by on little sleep, and as Steinberg said, "There are still times that we text each other in the wee hours." When Woods was great, he had an us-against-the-world attitude. Steinberg, who played 10 minutes for the Fighting Illini in the 1988-'89 season when they went to the Final Four, made his mark with that same attitude. But maybe he will find, 24 years after starting at IMG, that there is another way. I asked him if he was aware of his old press-tent nickname, one I am burying, here and now. "I’ve heard it before," Steinberg said. In the pause that followed, I think I heard Mark smile.